It’s a familiar scenario, you start digging around in the back of your cupboard looking for something and you come across packets of food that have been there for who knows how long. Are they still good to eat? Will they make you sick? And does hot chocolate expire? Before we look at hot chocolate in particular, let’s take a moment to talk about food labels in general. When buying different types of food, you will probably have noticed various labels such as “best by”, “use by” or “sell by”. What do all of these mean? The two important ones here are the “best by” (sometimes “best before”) and the “use by” dates, and they both have different meanings. A “use by” date is usually found on perishable foods – foods that go bad. A “use by” date tells you that you shouldn’t consume that food after the date indicated; if you do, you run the risk of becoming sick. A “best by” date, on the other hand, is usually found on non-perishable foods. These are the food items that can be stored safely for a long time while remaining safe for consumption. 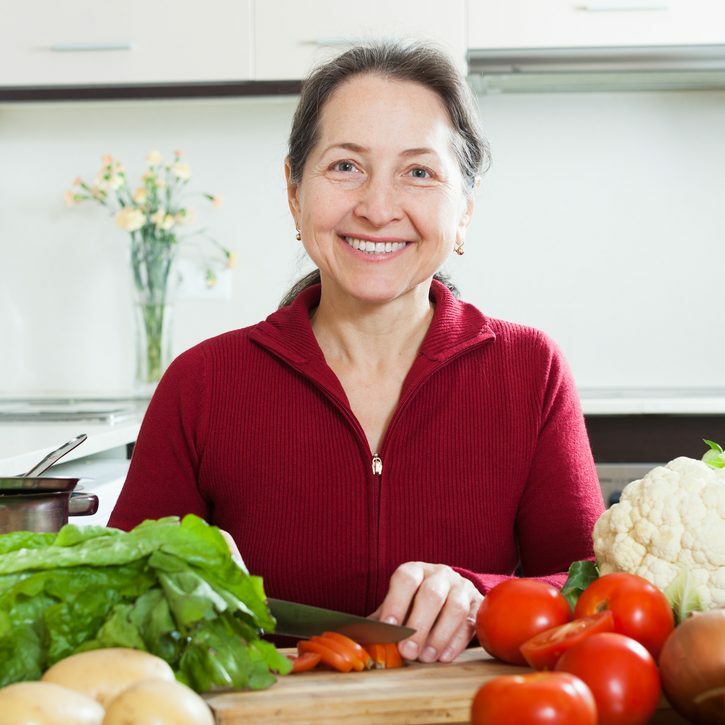 Of course, after a certain amount of time, these foods will deteriorate in quality – even if they won’t make you sick. What a “best by” date tells you is just that: the manufacturer is letting you know that the product is best consumed before that date. After the date passes, you will probably still be able to consume the food and suffer no ill effects, it just won’t be in its optimum condition anymore. Products like hot chocolate have very long “best by” dates meaning you can store them for a long time without them going bad. Now let’s look at this in a bit more detail. Check out this video for more info about dates on food. There are, in fact, two types of what we commonly call “hot chocolate”. The first is pure cocoa powder. This type of hot chocolate can be stored for a long time without any noticeable reduction in quality. If we are talking about this type of hot chocolate, it can be kept in your cupboard for a year or longer and will still be fine to drink. The other type is the kind of instant mix to which you simply add hot water to make a rich and creamy cup of hot chocolate. This kind of beverage mix usually also contains powdered milk or a substitute, which means it will spoil quicker than cocoa powder. By the way, if you love decadently luxurious hot chocolate, check out this video recipe we found for you! With pure cocoa, if we want to know if it becomes dangerous to drink, the answer is probably not. However, if we want to know if it loses its quality with time, the answer is yes – that’s exactly what the “best by” date is for. This means if you have a pot of cocoa that has passed its “best by” date, you will probably be fine drinking it – it just might not taste the way it should. However, if we are talking about the hot chocolate mix, the answer is not so clear. Of course, if the hot chocolate is past its “best by” date, it will no longer be in its optimum condition and will start to taste bad. You may also like: 27 Awesome Coffee Table Ideas You Can DIY Today! But is it dangerous to drink? The answer is probably not – at least in the short to medium term – but it’s best not to chance it. Since, as we mentioned, the hot chocolate mix contains ingredients that may go bad, there is a chance it may cause you to become sick. In this case, if you have a hot chocolate mix that is past the “best by” date, the best advice is to throw it away and buy a new pot. In most cases, if you make hot chocolate with cocoa or hot chocolate that looks like it’s been sitting around for a while, the worst thing that will probably happen is it will taste quite unpleasant. However, a rather extreme case from Italy may act as a warning against taking any risks. A few years ago, a grandmother from the Italian town of Vicenza wanted to give her grandchildren something a treat and, after hunting around in her cupboard, found some packs of hot chocolate. Unfortunately, the hot chocolate had already expired – by 25 years. Within hours, the children, the grandmother, and her husband were all hospitalized, with one of the children not being released for nearly three weeks. Luckily, everyone recovered – but this story does highlight the dangers of using food that has been sitting around in the backs of cupboards for too long! Of course, we have been assuming so far that the hot chocolate we are talking about has been stored properly – in a cool, dark place. There are, however, other factors that can cause the hot chocolate powder to spoil far quicker. Specifically, if any moisture reaches the powder, it can cause mold to form. In this case, it definitely shouldn’t be consumed since it will certainly make you sick. 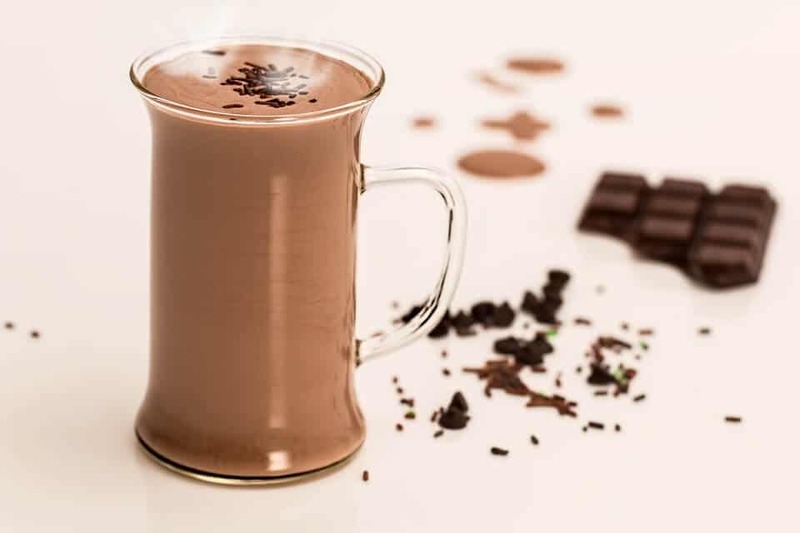 Even if the hot chocolate powder is left exposed to air, it may deteriorate more quickly. The best advice is to be smart and to use your eyes and apply some common sense. If you see mold growing, throw it away. If it is discolored or clumpy, do the same. Above all, remember the story of the Italian grandmother and don’t take any risks with your health. Buying a new pot of hot chocolate isn’t that expensive after all. So, does hot chocolate expire? The fact is, it probably takes a long time for hot chocolate or cocoa to become dangerous to consume – but as we have seen, it can happen. 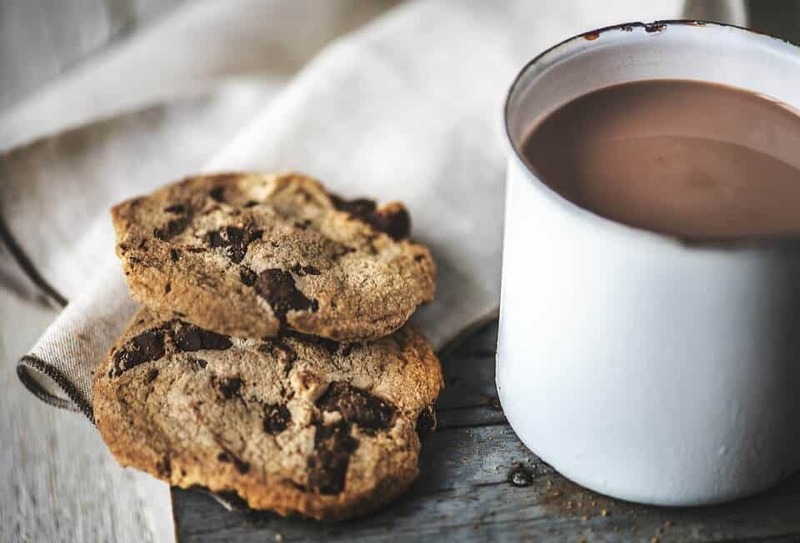 The best advice is to try to finish it up before this becomes an issue – but failing this, be aware of the risks of making hot chocolate with powder that is long past its “best by” date. The risk might be minimal – but as we now know, it is possible to become ill from drinking long-expired hot chocolate. 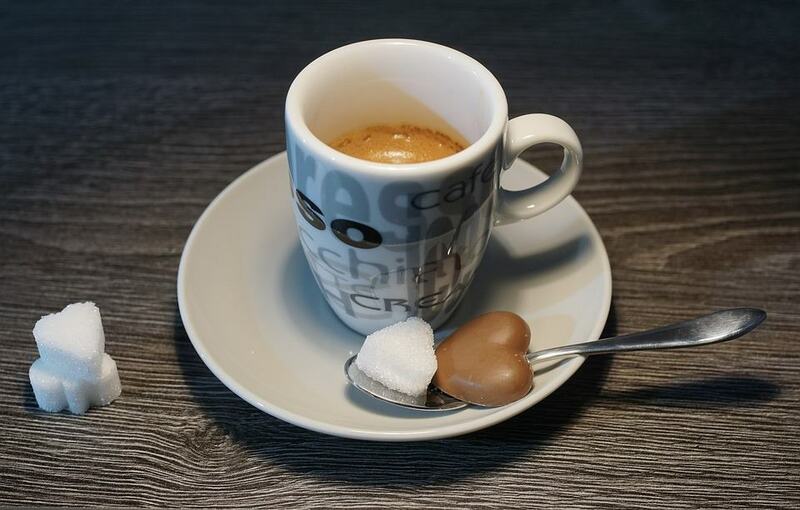 Have you ever used old hot chocolate or coffee to make a drink? How did it taste? Did you suffer any ill effects? Or do you just throw it away and buy a new pack? If you have anything to add, please leave us a comment. And if you found this article useful, please don’t forget to share!